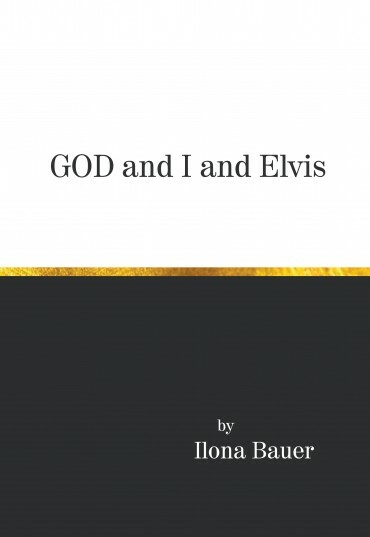 God and I and Elvis, a striking title if ever there was one, merely hints at the eerie, complex subject matter of Ilona Bauer’s memoir. 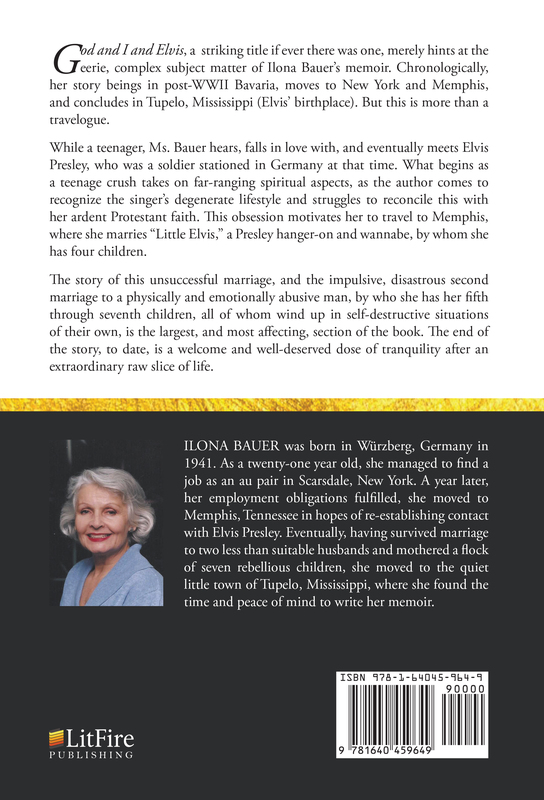 Chronologically, her story beings in post-WWII Bavaria, moves to New York and Memphis, and concludes in Tupelo, Mississippi (Elvis’ birthplace). But this is more than a travelogue. 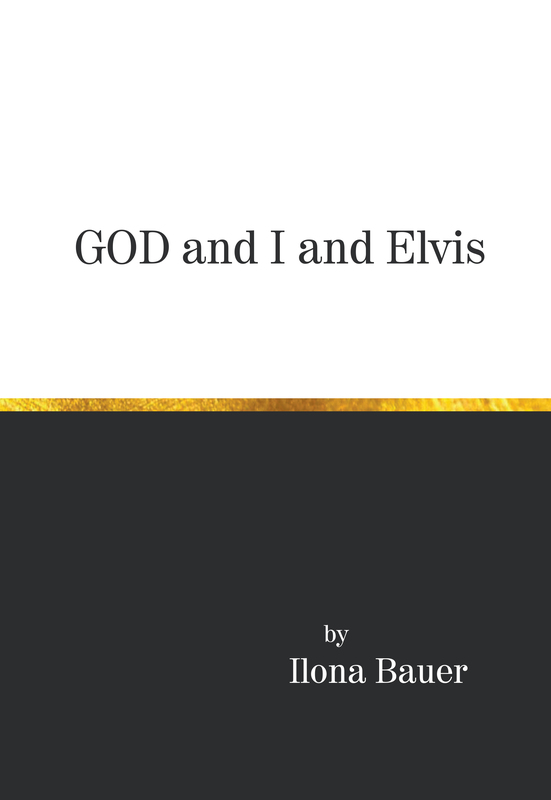 While a teenager, Ms. Bauer hears, falls in love with, and eventually meets Elvis Presley, who was a soldier stationed in Germany at that time. What begins as a teenage crush takes on far-ranging spiritual aspects, as the author comes to recognize the singer’s degenerate lifestyle and struggles to reconcile this with her ardent Protestant faith. This obsession motivates her to travel to Memphis, where she marries “Little Elvis,” a Presley hanger-on and wannabe, by whom she has four children. The story of this unsuccessful marriage, and the impulsive, disastrous second marriage to a physically and emotionally abusive man, by who she has her fifth through seventh children, all of whom wind up in self-destructive situations of their own, is the largest, and most affecting, section of the book. The end of the story, to date, is a welcome and well-deserved dose of tranquility after an extraordinary raw slice of life. ILONA BAUER was born in Würzberg, Germany in 1941. As a twenty-one year old, she managed to find a job as an au pair in Scarsdale, New York. A year later, her employment obligations fulfilled, she moved to Memphis, Tennessee in hopes of re-establishing contact with Elvis Presley. Eventually, having survived marriage to two less than suitable husbands and mothered a flock of seven rebellious children, she moved to the quiet little town of Tupelo, Mississippi, where she found the time and peace of mind to write her memoir.FREEDOM.